Veil Cover Cream | Baby it’s Cold Outside – Winter Skincare Routine Winter Skincare Routine for Women - Baby it's Cold Outside! As we all know, winter is almost here so starting a winter skincare routine is the best way to avoid dry or inflamed red skin. Check out our tips for keeping your skin beautiful this winter! As we say goodbye to our summer glow our skin is subject to harsher conditions pulling the colour and moisture out of our faces. These changing weather conditions can result in dry or inflamed red skin for a lot of us. If you do suffer from rosacea the cooler conditions means that skin redness is almost inescapable. Rosacea is a skin condition causing redness on the forehead, nose, cheeks and chin. Often pimples and bumps can develop which can then eventuate into blood vessels becoming visible on the face. However, if rosacea isn’t a problem for you the change in weather could also really affect your skin. Starting a winter skincare routine, that includes a change in the kind of makeup you wear, could really help to prevent dry red skin. Top Tip – To cover up any redness on the skin apply a small amount of Veil Cover Cream with a moist sponge, dab lightly until you reach the desired coverage. 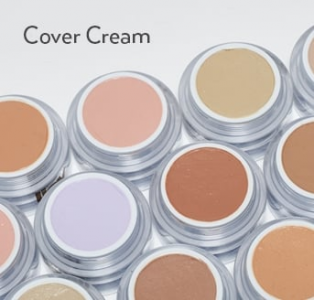 Veil Cover Cream is a specialist brand of camouflage make-up designed to be used for imperfections or as a full coverage foundation. Models and MUA’s recommend Veil Cover Cream because of it’s flawless finish and long lasting coverage. Made from pure and simple raw materials, the recipe and manufacturing process has remained the same for over 60 years. With 42 different shades available in the Veil cosmetic range it’s super easy to match your skin tone. Also Veil Cover Cream is waterproof, oil-free and best of all, not tested on animals. Adding Veil Cover Cream to your winter skincare routine can dramatically change your look and improve the quality of your makeup coverage. The beautiful creamy texture allows you to slowly add the product to your skin and you’ll soon discover that a little goes a long way! So instead of hiding away this winter, make adjustments to your winter skincare routine. 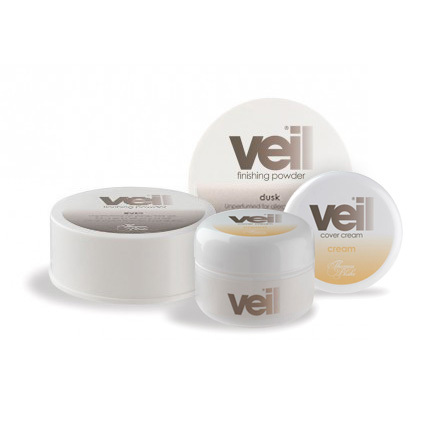 Use Veil Cover Cream as both a concealer for imperfections or as a full coverage foundation. Your skin will look fabulous and you’ll still be able to enjoy curling up on the couch with a big cup of tea, a wooly jumper and your ugg boots! Click HERE for our full list of products!